Ready to take a cross-country adventure but do not want to sleep in a hotel every night? Looking to start a life on the road but do not have a significant truck to pull your travel trailer? If so then you needed to head to your local Airstream dealer in Wisconsin and see one of the many new and used Airstream for sale. Here at Ewald’s Airstream of Wisconsin, we have everything from Airstream Bambi trailers for sale like the Airstream sport, to Airstream campers for sales like the Airstream Tommy Bahama for sale and everything in between. Here at Ewald’s Airstream of Wisconsin, we understand that each person who comes to our dealership will have different wants and needs when it comes to finding an Airstream travel trailer for sale. Which is why we have a team of people who are happy to answer any and all questions you may have about one of the many new and used Airstream trailers for sale. That includes questions about the all-new Airstream Sport for sale. This Airstream Bambi trailer for sale comes with many features both inside and out that you will not want to miss. The Airstream Sport for sale may be tiny, but it can sleep up to four people comfortably. This Airstream trailer comes with light and bright colors that will make this Airstream for sale feel light and airy. With handcrafted Italian cabinetry, seamless vinyl flooring, and accent colors that evoke the outdoors. With panoramic windows your Airstream will be filled with light and blackout shades will give you total privacy. 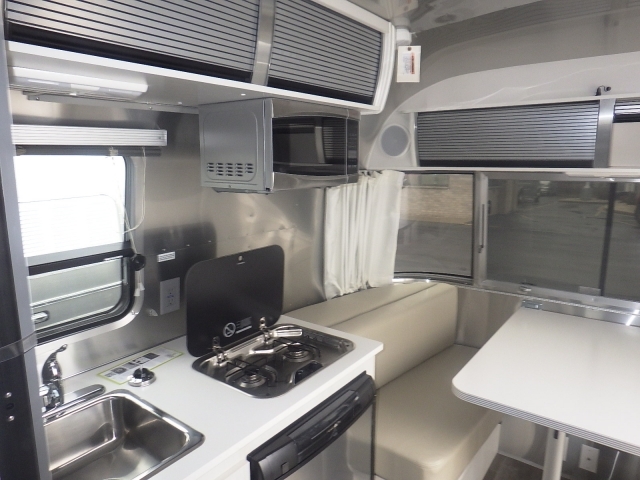 The Airstream Sport for sale also comes with a galley style kitchen with space-saving features such as a cutting board sink cover and a folding side table. Now you will have plenty of room to prepare and serve all of your favorite meals. Never worry about being bored on a rainy day ever again when you take this Airstream camper for sale. The Airstream Sport for sale comes with technology features JVC stereo with AM/FM/CD/DVD with Bluetooth, and an LG LED HD TV with a directional antenna. Worried that with guest coming you will not have anywhere to put them on an overnight trip? Have no fear because with a few simple twists and turns your dinette can turn quickly into a bed that will comfortably sleep up to two people. Then easily turn it back into a dinette for breakfast. On top of all of that this Airstream for sale also comes with best in class storage features that will let you bring all of the comforts of home with you no matter where you go. Combining the single-axle efficiency of a lightweight Bambi trailer with more creature comforts than some trailers twice its size, the Sport maximizes space and minimizes waste. So choose the floor plan and styling that best suits you, then take the Sport out and play! 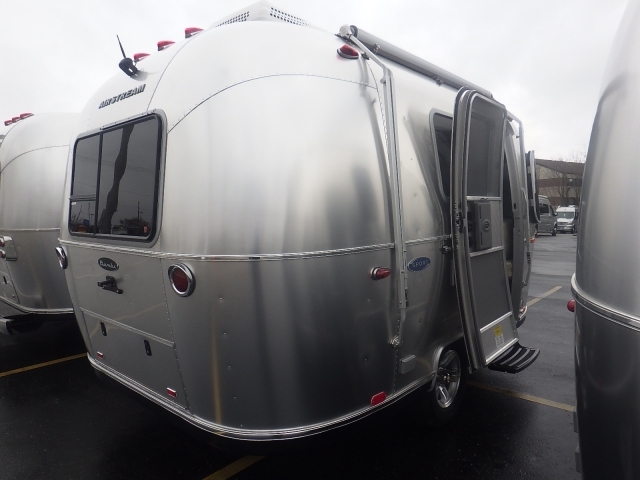 When you are looking for Airstream dealers near you, come to Ewald’s Airstream of Wisconsin and see one of the many new and used Airstream trailers for sale in Franklin, Wisconsin. That includes a variety of Airstream Bambi trailers for sale, like the Airstream sport for sale. When you are looking for an Airstream dealership near you, come to Ewald’s Airstream of Wisconsin at 6319 S 108th ST in Franklin, WI 53132.